In the past, calling someone from your cell phone always revealed your number to the receiver. When you make a call from your cell phone, you trigger caller ID technology, thereby putting yourself at risk of reverse look ups, which provide personal information like your name and/or address. Today, technology has placed your privacy back in your hands. 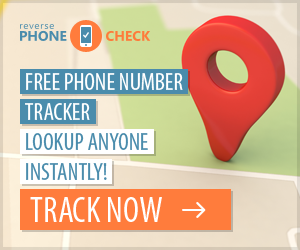 You can protect your cell phone number from reverse look up by blocking your number from caller ID with a few quick and easy steps. 1. Access your cell phone to make a call. 2. At the dial tone dial *67. Your dial tone will repeat, then stop letting you know that it has registered the requested block. 3. Once the dial tone stops the line will be silent letting you know it's ready for dial out. Dial the number you wish to call. Your number will be blocked on the receiver's caller ID. When the call is over your number will return to unblocked status. If you do not have line block service you will need to dial *67 before each call that you would like to block. If you do not have line block service you may request it at additional charge depending on your provider. Call your cell phone provider. If you already have line block service and you which to reveal your cell phone number to a call receiver, at the dial tone dial *82 and your cell phone number will display on receiver's caller ID. When the call is over your number will return to blocked status. If you already have line block service you will need to dial *82 before each call that you would like to reveal your cell phone number to a call receiver.